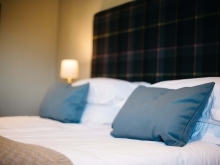 The inviting, spacious Single Rooms include a comfy single bed, with tea & coffee making facilities, complimentary Wi-Fi and a Freeview TV. All bedrooms at The George are finished with private en-suite shower rooms with complimentary toiletries. 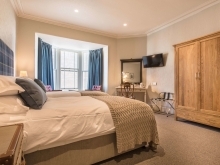 The George offers two Single Rooms. The inviting, spacious Single Rooms include a comfy single bed, teamed with a Freeview TV, free Wi-Fi and tea & coffee making facilities. 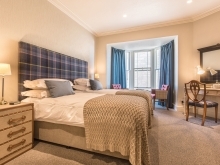 All bedrooms at The George are finished with private en-suite bathrooms with complimentary toiletries. The inviting, spacious King Rooms include a comfy king sized bed, with tea & coffee making facilities, complimentary Wi-Fi and a Freeview TV. 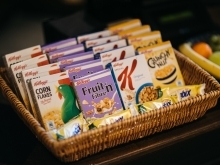 The inviting, spacious King Rooms include a comfy king sized bed, teamed with a Freeview TV, free Wi-Fi and tea & coffee making facilities. 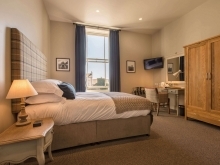 All our Super King Double Rooms feature stunning views of the local landmark, Castle Rushen. The inviting, spacious rooms include a comfy king sized bed, with tea & coffee making facilities, complimentary Wi-Fi and a Freeview TV. 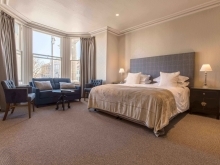 All bedrooms at The George are finished with private en-suite shower rooms with complimentary toiletries. 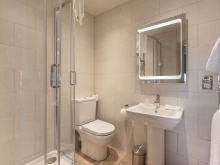 The George does offer a Super King Double with an en-suite bathroom. If you require this room, please make it known at the stage of booking. 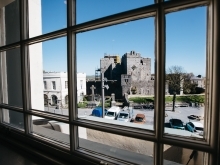 All our Super King Double Rooms feature stunning views of the local landmark, Castle Rushen. The inviting, spacious rooms include a comfy king sized bed, teamed with a Freeview TV, free Wi-Fi and tea & coffee making facilities. 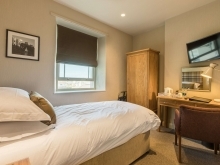 All our Super King Twin Rooms feature stunning views of the local landmark, Castle Rushen. The inviting, spacious rooms include two comfy single beds, with tea & coffee making facilities, complimentary Wi-Fi and a Freeview TV. 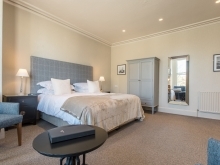 All our Super King Twin Rooms feature stunning views of the local landmark, Castle Rushen. 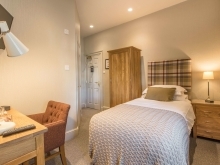 The inviting, spacious rooms include two comfy single beds, teamed with a Freeview TV, free Wi-Fi and tea & coffee making facilities. All our Family Rooms feature stunning views of the local landmark, Castle Rushen. The inviting, spacious rooms include one cosy king sized bed and an additional bed, perfect for children. These rooms also come with tea & coffee making facilities, complimentary Wi-Fi and a Freeview TV. All bedrooms at The George are finished with private en-suite shower rooms with complimentary toiletries. 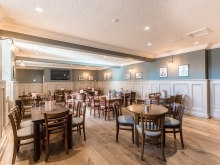 The George does offer a Family Room with an en-suite bathroom. If you require this room, please make it known at the stage of booking.